AleaSoft welcomes Gamesa as its newest client, a leading European manufacturing company specialized in the fabrication of wind turbines and the construction of wind farms. Gamesa will be utilizing AleaSoft’s energy price forecasting services in order to better its performance. 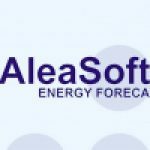 AleaSoft continues to expand its client base with this most recent contract, hence reinforcing its leading position as a provider of energy forecasting models. AleaSoft has been a strong player in the European market, and has ambitions to cater globally. These models are presently used by a variety of major European market players, such as: Endesa, E.ON Spain, Gas Natural Fenosa, Electrabel–GDF SUEZ, E.ON Italia, Iberdrola, Shell, BBE, Statkraft and ContourGlobal, as AleaSoft’s client base continues to increase.